For the third consecutive year, the Trump administration is aiming to eliminate the National Endowment for the Arts and the National Endowment for the Humanities. Since 2017, Trump has been vocal in his desire to eliminate the two agencies entirely. In 2019, each of the agencies was allocated a budget of $155 million, despite similar calls for elimination in 2018 and 2019. The US federal budget for 2020 will ultimately be decided by Congress. We’ll be fighting back again this year and hope that you do, too. The most effective way to make your voice heard is through your local representatives. Call. Email. Write letters. Urge your representatives to sign on to this NEA funding letter and this NEH funding letter, which ask for budgets of $167.5 million for each agency. Click here to access the CAA Arts and Humanities Advocacy Toolkit. By any number of metrics, the arts and humanities are experiencing challenging times. Funding is under threat from the Federal government. Student enrollment is dropping in higher education classes focusing on the arts and humanities. The number of tenure-track faculty positions are diminishing in arts and humanities departments. The wide support of STEM-centered education has placed an emphasis on career paths with measurable and immediate financial outcomes. Yet, we know the importance of an arts and humanities education, not just for those looking to have careers in the arts and humanities but those across the entire professional spectrum. In response to the challenges in the arts and humanities, some universities and colleges in the United States have cut programs, collapsed libraries, or shuttered entire departments. These steps, taken as cost-saving measures, only increase the uphill battle for the arts and humanities. Over the past years, CAA has tracked these changes in higher education through the organization’s own research efforts and through narratives relayed directly from our members. These actions taken by administrations are in no way secret. In article after article, the alarm has been sounded. We believe there is a better way to resolve these issues and protect the arts and humanities at the same time. The “Guidelines for Addressing Proposed Substantive Changes to an Art, Art History or Design Unit or Program at Colleges and Universities” call for a deeper understanding of the factors and issues that have precipitated the action to close a department or program. The guidelines outline two clear paths: they encourage constituencies to communicate about the potential changes, and they pave the way to resolution without having to eliminate or downsize the program or department. If those conversations fail to reach a satisfactory outcome with the educational institution, the guidelines emphasize that the institutional administration must do everything it can to see that the program continues. And, as is the case with all scholastic endeavors, the administrations must show their work—they must provide documentation that the department has been adequately resourced and funded. It must demonstrate that growth has been encouraged rather than to allowing it to lay fallow. CAA Working Group for Guidelines for Addressing Proposed Substantive Changes to an Art, Art History or Design Unit or Program at Colleges and Universities: Tom Berding, Michigan State University; Brian Bishop, Framingham State University (Chair, CAA Professional Practices Committee); James Hopfensperger, Western Michigan University (CAA Board President); Charles Kanwischer, Bowling Green State University; Karen Leader, Florida Atlantic University; Richard Lubben, College of the Sequoias; Paul Jaskot, Duke University; Hunter O’Hanian, CAA Executive Director. 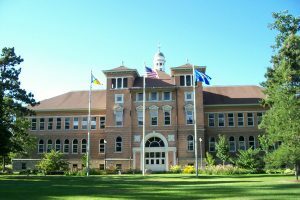 Over the past few months there have been an alarming number of colleges and universities throughout the nation—from University of Wisconsin-Stevens Point to University of Texas at Austin—taking actions we perceive as detrimental to the education of future generations in the arts and humanities, particularly in the fields of art history, studio art, and design. From our perspective, in many instances, it appears that decisions to merge departments, eliminate degrees, or reduce libraries are largely transactional in nature, designed to balance present-day budgets. We worry that when focusing narrowly on fiscal realities of the day, institutions risk undervaluing the impact humanities programs have on preparing students for careers over their lifetimes. We believe that serving students of diverse racial, social, and economic backgrounds involves offering academic programs that allow them to fully explore themselves and their cultures, precisely the benefits from strong programs in the humanities, art history, studio art, and design. We recognize that institutions must embrace structural changes, make adjustments in evolving physical and technological environments, and face pressures to demonstrate direct connections between academic studies and successful professions. Yet, we remain convinced, and research confirms, that students as individuals, and society as a whole, benefit from strong programs in the arts and humanities and a diverse range of academic resources to support different learning styles. A CAA working group, co-chaired by Brian Bishop, Chair of the Professional Practices Committee and executive director Hunter O’Hanian, recently formed to propose Best Practices for Addressing Proposed Changes to an Art/Design Academic Unit, Library, or Degree at Colleges and Universities. It is hoped that these Best Practices will be approved by the CAA Board of Directors for dissemination by October 31, 2018. We invite you to share with us specific situations that can help inform these guidelines. Please contact either Brian Bishop (bbishop@framingham.edu) or Hunter O’Hanian (Hohanian@collegeart.org) directly. RAAMP (Resources for Academic Art Museum Professionals) aims to strengthen the educational mission of academic art museums by providing a publicly accessible repository of resources, online forums, and relevant news and information. With new resources added daily, we welcome contributions to our online archive. Resources can include but are not limited to: museum strategic plans; campaigns for outreach to campus communities; news and announcements about new programs, exhibitions, or staff appointments; and strategies for diversity and inclusion in the academic art museum. You may also provide tips on funding opportunities, exhibition design guidelines, advocacy, and more. Visit RAAMP to discover our newest resources, and click here to contribute. RAAMP is a project of CAA with support from The Andrew W. Mellon Foundation. CAA staff in Washington, DC (left to right): Joelle Te Paske, media and content manager, Alison Chang, sponsorship and partnership manager, Aakash Suchak, grants and special programs manager, Hunter O’Hanian, executive director, and Nick Obourn, director of communications, marketing, and membership. Earlier this week CAA staff traveled to Washington, DC for Americans for the Arts’s Arts Advocacy Day and National Alliance for the Humanities’s Humanities Advocacy Day. After a day of breakout sessions and briefings on Monday, staff visited congressional offices on Tuesday to advocate for continued funding for NEA, NEH, IMLS, CPB, and support for the arts, humanities, and higher education. See our on-the-ground updates. Learn more about Advocacy Days below. Arts advocates from across the country convene in Washington, DC for Americans for the Arts’s annual Arts Advocacy Day each year. Arts Advocacy Day brings together a broad cross section of America’s cultural and civic organizations, along with more than 700 grassroots advocates from across the country, to underscore the importance of developing strong public policies and appropriating increased public funding for the arts. Learn more. Humanities Advocacy Day provides the opportunity to connect with a growing number of humanities advocates from around the country. Together, advocates will explore approaches to year-round advocacy on college campuses and in local communities while also preparing for Capitol Hill visits. On March 13, they will visit House and Senate offices to make a persuasive case for federal funding for the humanities. Learn more. 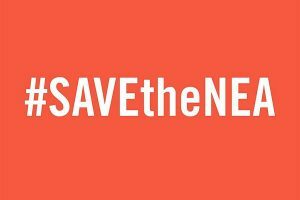 For two years in a row, we’ve offered our complete and total opposition to efforts to eliminate funding for the National Endowment for the Arts (NEA), the National Endowment for the Humanities (NEH), and other domestic programs that fund education, arts, and humanities initiatives, as outlined in the 2018 and 2019 White House budget proposals. For more on our advocacy efforts, click here. We encourage you to be vocal about your support for the arts and humanities. Click here to access the CAA Arts and Humanities Advocacy Toolkit. Early next week, staff members from CAA will be attending Arts Advocacy Day and Humanities Advocacy Day in Washington, DC. We encourage you to be vocal about your support for the arts and humanities next week (and beyond!). Click here to access the CAA Arts and Humanities Advocacy Toolkit. The Humanities Indicators project, an Andrew E. Mellon Foundation-funded initiative, just released the most recent numbers on salaries for those entering the the humanities professions. CAA has been an active participant in the initiative for the past few years. Their survey shows that as of 2015, for arts graduates in the workforce, the median earnings for art history majors in the workforce with just a bachelor’s degree were $45,000, while those who had gone on to earn an advanced degree (which could be in any discipline) had median earning of $65,000. Graduates who majored in the arts had median earnings of $48,000 (with just a bachelor’s degree) and $60,000 (with an advanced degree). In all cases, these were slightly below the average for all fields. These updates about earnings are tied to a new report on humanities majors in the workforce, which tries to look beyond earnings, and finds that when it comes to job satisfaction and perceived well-being, humanities majors are pretty much the same as graduates from every other field (including art majors). 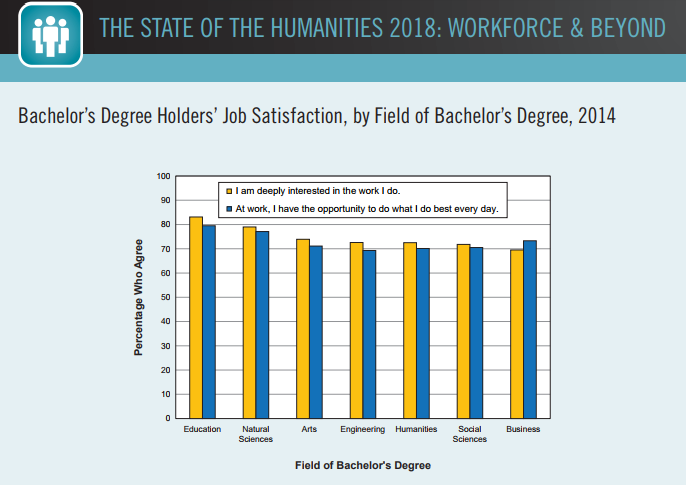 Almost 87% of workers with a bachelor’s degree in the humanities reported they were satisfied with their jobs in 2015, comparable to graduates from almost every other field. Over three-quarters of humanities graduates saw themselves at or approaching “the best possible life,” which was similar to the shares among engineering and natural science graduates. Education majors had the highest level on this measure. More than a million graduates with bachelor’s degrees in the humanities were employed as managers in 2015, and almost 60% of humanities graduates report managing or supervising employees as part of their job (which was equal to the share of all graduates). While much of the report points to similarities, there was one notable difference: only 30% of graduates with a bachelors in humanities perceived a close relationship between their job and their degree in 2014, while more than a third saw no relationship. Fine and performing arts majors were similar on this score. This differed substantially from graduates with science and professional degrees. Earlier this afternoon, the White House released its 2019 Budget Proposal. The $4.4 trillion budget outlines deep cuts in domestic programs that fund education, arts, and humanities initiatives, while increasing military spending. The entire budget proposal adds $984 billion to the federal deficit in the next year and in total adds $7 trillion to the deficit over the next 10 years. We call on our members and those who believe in the importance of the arts, humanities, and education to act now. The most effective way to make your voice heard is through your local representatives. Call. Email. Write letters. Congress has this budget in their hands and now is the time to let them know you support the programs it seeks to eliminate. We look forward to discussing budget advocacy at our Annual Conference in Los Angeles, February 21-24. Read about Advocacy News from CAA. Today the US President released his proposal for 2018 federal budget – it envisions transferring additional billions of dollars to the Department of Defense, Veterans Affairs, and Homeland Security from many important domestic programs such as the Environmental Protection Agency, education, and legal services. As expected, the budget also calls for the complete elimination of the Corporation for Public Broadcasting, National Endowment for the Arts, National Endowment for the Humanities, and 16 other federal agencies. CAA was one of the first national organizations to speak against these cuts. Read the statement against these cuts that CAA released on January 23, 2017. As educators, art historians, artists, curators, museum directors, designers, scholars, and other members of the visual arts community we must act to defend the role of arts and humanities in our society. The budget process is long and ultimately controlled by the US House and Senate. 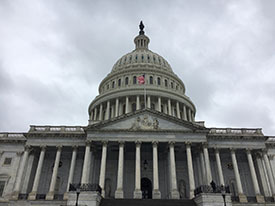 Earlier this week, CAA traveled to Washington for Humanities Advocacy Day to meet with many congressional offices to discuss the importance of continued NEA and NEH funding. We will return again next week to do the same for Arts Advocacy Day. In addition, CAA assembled an Arts and Humanities Advocacy Toolkit with information on how to contact your representatives in Congress to voice your support for the NEA and NEH and the many quality programs they fund. Call their offices. Email them. Attend Town Halls. You can learn how these agencies support activities in your area here: funded by the NEA and funded by the NEH. Be sure to let your representatives know of the impact of the arts and humanities in your districts. Spread the word to your colleagues and friends. 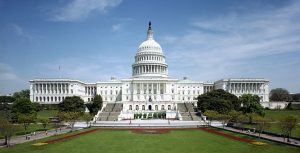 Despite the White House’s opposition to continued funding for the NEA and NEH, there is sufficient reason to believe that many members of the US House and Senate will support a budget that includes continued funding for these agencies. I ask our members to join in the effort to make sure all members of Congress knows the importance of the work done by these agencies. 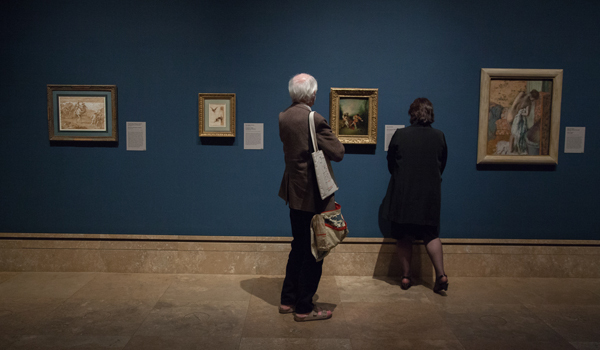 For more than a century, the College Art Association (CAA) has represented art historians, artists, museum professionals, designers, and others who think and care about the visual arts and its impact on our culture. We do this in part through direct advocacy for artistic and academic freedom. We offer our complete and total opposition to these efforts. Since the 1960s, the NEA and NEH have supported artists, writers, museum professionals, and a wide array of scholars of various disciplines in creating new work and scholarship. The NEA supports thousands of cultural and educational organizations, and, in a few cases, individual artists. The NEH, which strengthens teaching and learning in schools and colleges—as well as the work of independent scholars—creates access to educational scholarship and research nationwide. 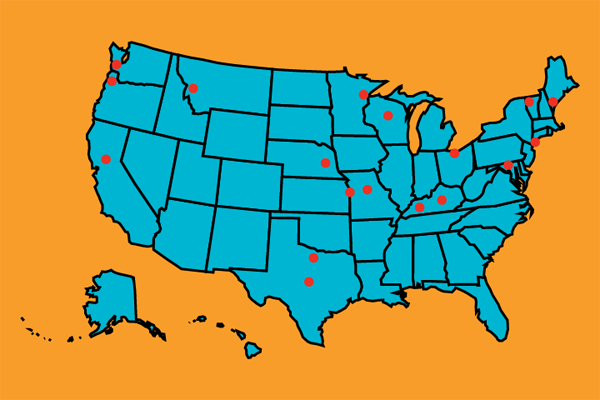 In addition, the NEH is a strong supporter of museum exhibitions throughout the country. Combined, the budgets for the two agencies are less than $300 million. The organizational grantees generate hundreds of millions of dollars in matching support and countless new works of art and scholarship. These works and related projects are studied and enjoyed by millions of Americans in museums and other venues. The cultural sector of the US economy generates more the $135 billion in revenue and employs over three million people in small towns and large cities countrywide. Given that the respective budgets of the NEA and NEH represent only a tiny fraction of the entire federal budget, their planned elimination cannot logically be seen as a cost-saving measure. Rather, it appears to be a deliberate, ominous effort to silence artistic and academic voices, representing a potentially chilling next step in an apparent effort to stifle and eradicate oppositional voices and cultural output from civic life. By eliminating the support for these agencies, the government undermines the unifying potential of the arts, culture, and education that encourages and nurtures communication and positive discussion. CAA leadership is monitoring the possible elimination and/or reduction of funding for the NEA and NEH and how it may affect our members and the work they do. CAA will communicate and collaborate with other cultural and educational organizations and learned societies to determine potential future advocacy options. We urge our fellow CAA members to contact their representatives in Congress to let them know the importance of maintaining a robust, national, publicly supported framework for artistic and academic freedom. When you contact your representative, we ask that you let them know you are a member of CAA and together we are advocating for continued public funding for the arts. We also encourage you to contact the National Humanities Alliance and Americans for the Arts to become further involved. Through our collective strength, we can ensure that public funding of scholarship and art making continues, free from political and commercial interference.